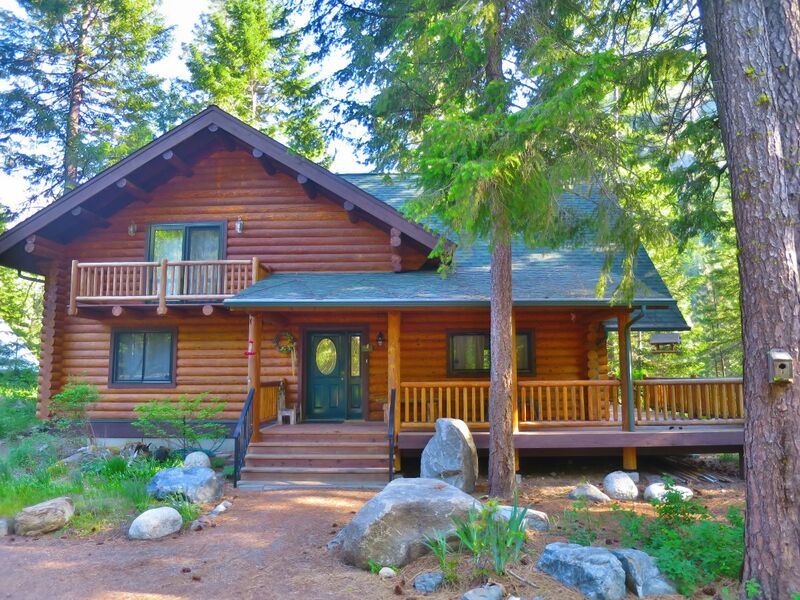 The Ingalls Creek Enrichment Center has served as a Christian retreat and training center in the mountains of central Washington since its inception in 1989. The organization has pioneered a distinctive way of developing Christian disciples; combining hard physical work, joyous community, and gracious hospitality in a setting that inspires a sense of awe and responsibility to care for one another, and for God’s beautiful creation. 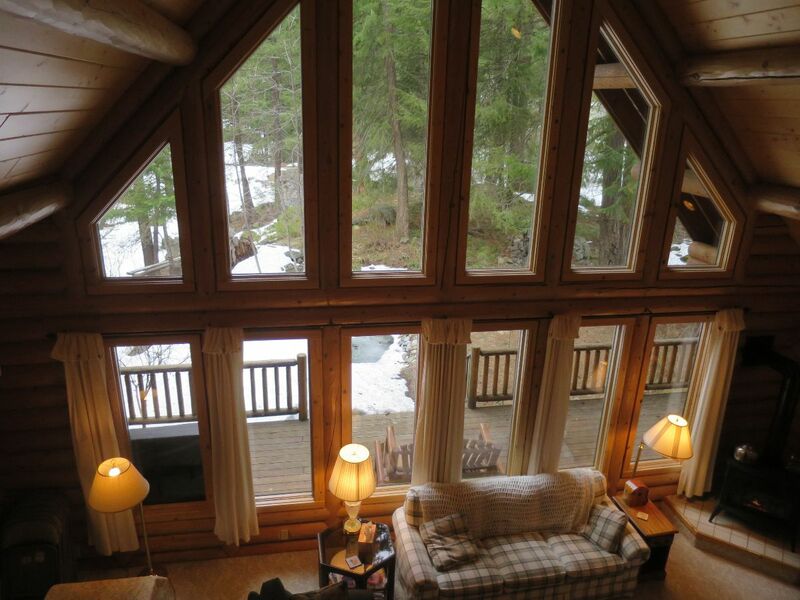 The center is attractively situated along a mountain stream 12 miles southeast of Leavenworth. 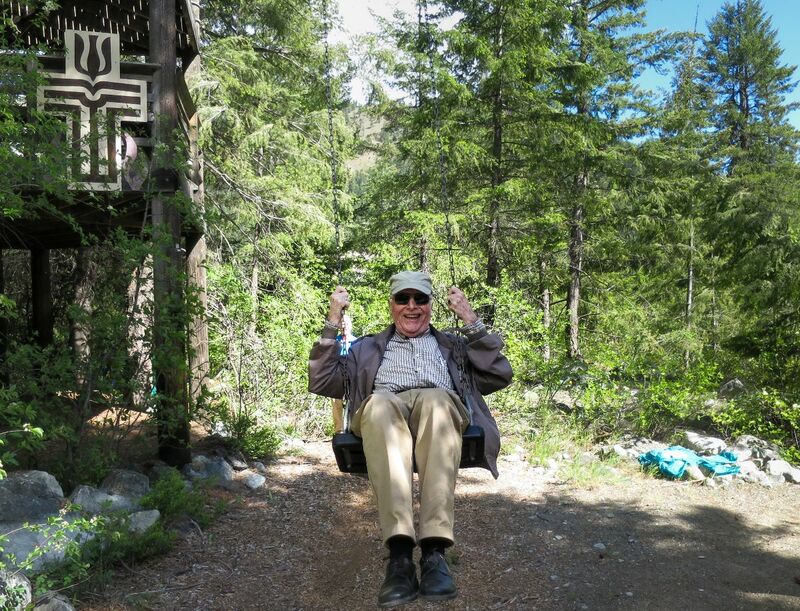 In 1980, Alan and Anna Waltar began a search for a place to create a retreat center for members from their church and others to experience Christian community in the beauty of the mountains. With space for over 100 guests, the Ingalls Creek gazebo creates a hub of community and fellowship right in the middle of the retreat center. 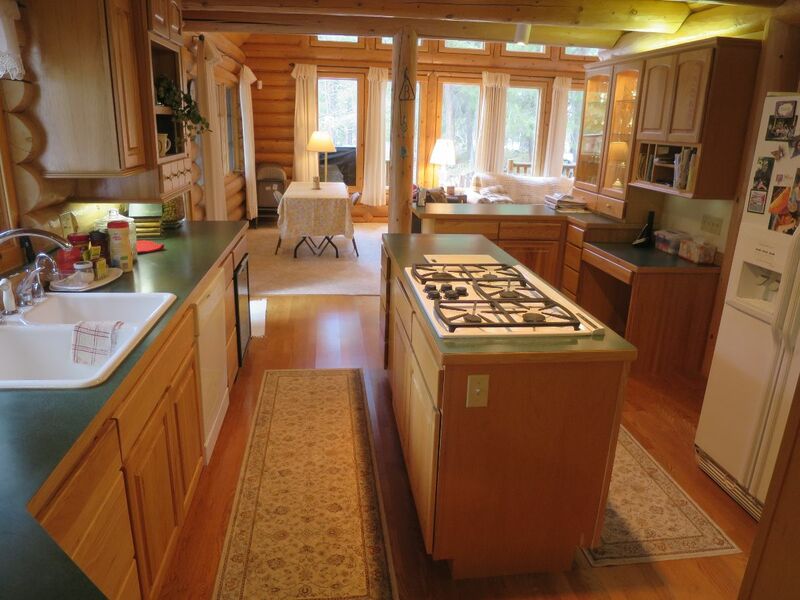 In addition to alfresco cooking and dining for groups large and small, people enjoy this space for a variety of outdoor experiences from picnics, family reunions, weddings, craft projects, board games, and nature discovery days. It hosts dances, times of worship, and entertainment, offers shade in the heat, and shelter in rare but significant rain storms. The train bell suspended from the rafters in the gazebo, beckons groups to gather, ringing loud and clear to signal meal times and celebrations. In case of emergencies, it’s repeated ringing signals the loud resounding call to congregate for further instructions that can easily be heard throughout the camp. 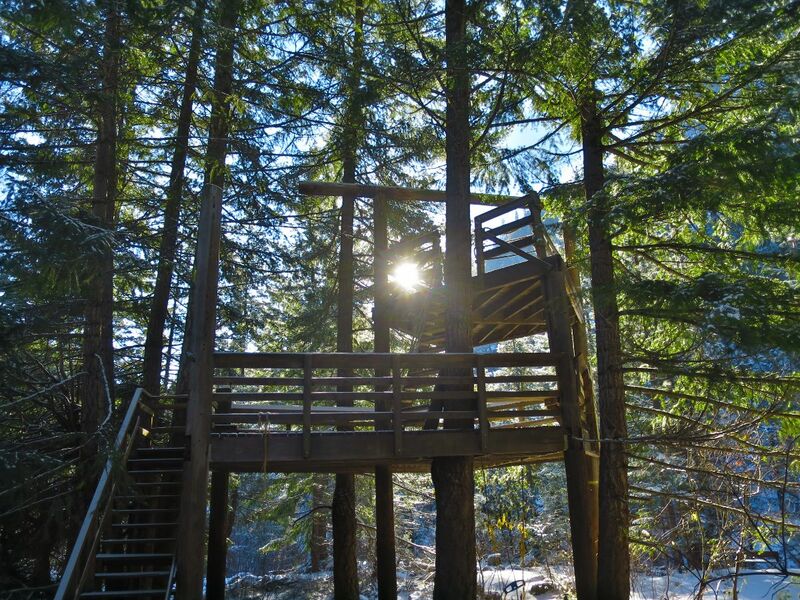 This treehouse was the very first structure created on site! 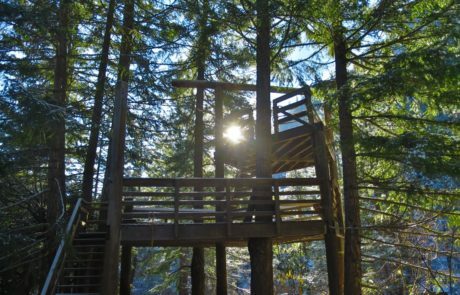 Visitors of all ages love to climb up to view the creek from high in the trees and experience the thrill of the giant swing. Over the years, in the midst of creating buildings, trails and green spaces, people have experienced building community as well. Through the process of working side by side at Ingalls Creek, they have been strengthened in their connection with God, with the land itself, and with one another. This spot is called The Confluence Rock. It marks the base of the Ingalls Creek property. The left hand creek is Peshastin Creek and the one on the right is Ingalls Creek. Right here, at this confluence, the two creeks come together and flow into the neighboring communities downstream. At Ingalls Creek, we love this visual metaphor! The early church father Irenaeus said that “The glory of God is a human person, fully alive.” People who spend time at Ingalls Creek have the opportunity to consider the streams of their life coming together. To move from fragmented living to seeing how their faith and their calling/work can come together, and flow into their daily experiences. It is our hope and vision that when Christians live vibrant, connected lives in the midst of their local communities, people around them will be drawn to that fullness of life. Will be drawn, in fact, one step closer to Jesus. The Creekside, Woodland, and Confluence Trails have been created and maintained by many, many volunteers over the years. There are two things in particular to note about these trails. The first is the width of the trails themselves. 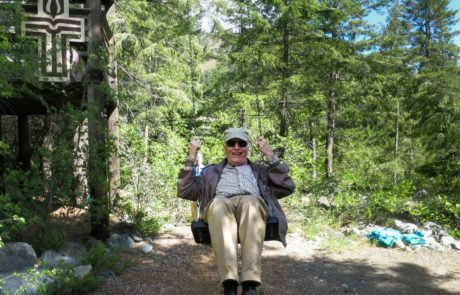 Founders Alan and Anna Waltar envisioned maintaining wide trails for access to the Ingalls Creek woods for people with special needs, as well as older guests who still love to get out in creation, but may not be able to walk extended distances. The second thing is that fire threat is an ever present reality in North Central Washington. In partnership with the Department of Natural Resources and the Cascadia Conservation District, huge efforts have taken place to clear brush, thin and limb up trees, making the grounds safe and healthy for all to enjoy. These trails serve as visual reminders of two of Ingalls Creek’s core values: care for all people, and stewardship of the land. It is a rare privilege to serve at a place where God uses people at just the right time and the right place to make things happen. When this amphitheater was under construction, the day for concrete pouring was a hot one – over 100 degrees! The volunteers (who were prepping the site and waiting for the Western Materials cement truck to arrive,) saw an unknown white pickup truck pull slowly down the entry road. As it turned out, two men from Seattle Concrete Works were on a day-off pleasure drive. “How are you planning on finishing this concrete?” they asked. “In this heat?” they exclaimed. “Good heavens!” was their incredulous response. “If you want to save this concrete for exposed aggregate, you better spread molasses over the whole surface just as soon as you level it out, to slow down the drying process – or you’ll NEVER be able to get the surface you want. We quickly called friends who were due to join us that day, and asked them to pick up as much molasses as possible on their way to Ingalls Creek. The job was saved! And the men from Seattle who came at just the right time? We have never forgotten them! 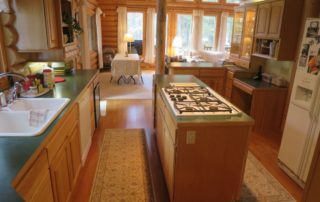 When Alan and Anna Waltar first purchased land for a retreat center at Ingalls Creek, they planned to pay off their big investment by developing and selling a portion of the property as vacation lots. Not long after their purchase, however, interest rates sky rocketed, and they found themselves in over their heads. The project ballooned beyond their capacity of time, finances and resources, and seemed doomed to failure. The Waltars asked their church for prayer and ideas. God provided a miracle in the form of three other couples who came alongside and began meeting in one another’s homes weekly. The Johnsons, Critchlows, Brays and Waltars formed a nonprofit, “Ingalls Creek Enrichment Center,” investing their time, hearts, and energy to see this vision through. For years, this team of friends, joined by many others, volunteered expertise, labor, money, and love to make Ingalls Creek what it is today. 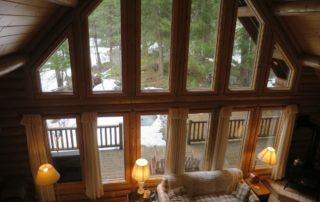 This beautiful log cabin was built by Lane and Gwen Bray in 2000, for their own use and for guests from all over to enjoy. 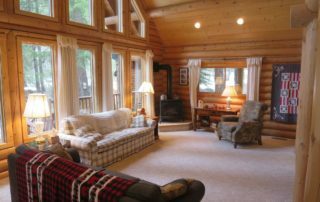 When they passed away in 2015 and early 2016, their children made the cabin available to Ingalls Creek for purchase, fully furnished and ready for Ingalls Creek to further its mission of hospitality and community to small groups, families, missionaries, and pastors. 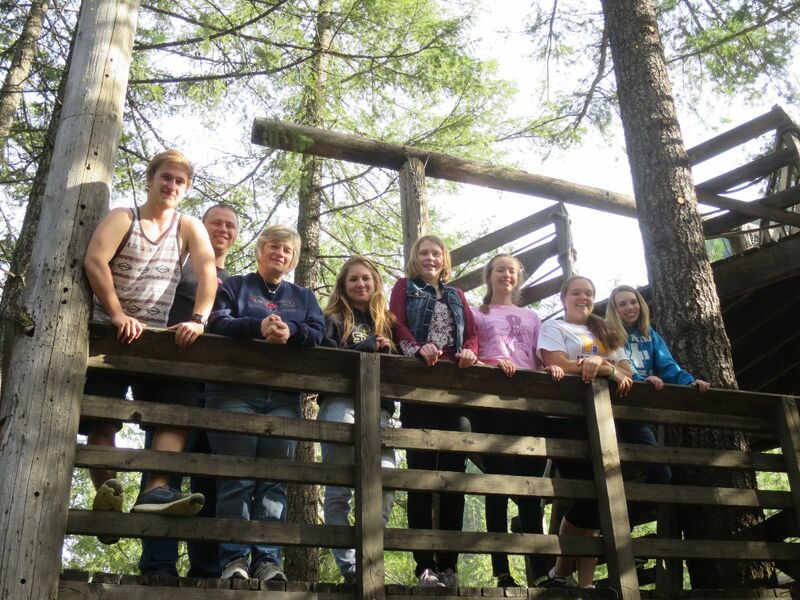 The Bray cabin stands as a testimony to what God can do through friendships. What amazing things can happen when friends get together over a shared dream. One of the delights that we’ve experienced over the years is the learning that takes place when we partner with those in our community. 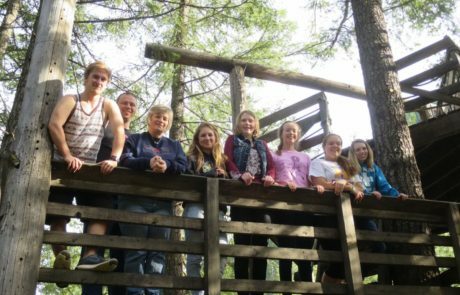 During the summer months, Ingalls Creek hosts summer college interns to engage in ministry in the local upper valley, as well as here on site. One internship centers around building relationships with friends in local group homes for adults with developmental disabilities. In 2016, Maryann, a Whitworth University student working toward an Occupational Therapy career, invited the Amigos from the Dwelling Place to help with the fire safe DNR project by stacking newly cut wood into this woodshed. Going into the project, we were a bit concerned about how our friends would handle the balance aspects of carrying logs over rough ground to stack them here. We shouldn’t have worried! Within two minutes of their arrival on site, the Amigos formed an assembly line. They passed wood person to person, loading the woodshed in no time at all! (AND with joking and smiles all throughout). It was a clear reminder that teamwork matters, and that all people have significant gifts to share, and lessons to teach. From a simple beginning on the shores of a creek side, to the opportunity to shape lives near and far, Ingalls Creek has been blessed through God’s gift of hospitality and love – first extended through its founders, and continuing right up to the present. In line with the desire to bless others as they have been blessed, Alan and Anna Waltar have opened their own home, Alanna’s Landing, for Ingalls Creek gatherings of many kinds. Its guest rooms, media room, dining, and meeting spaces communicate a deep sense of welcome to those who visit. 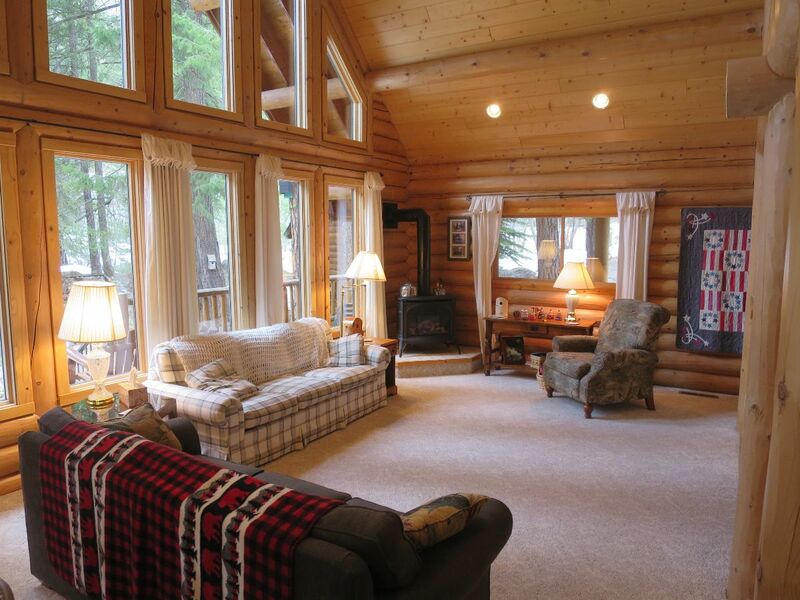 The Lodge at Ingalls Creek was built 90% through volunteers over extended years of construction. Children and adults, young and old, labored and prayed over everything from rebar to bunkbeds! All with a dream that this place would be used by God, in powerful ways, to touch the hearts and lives of many people. 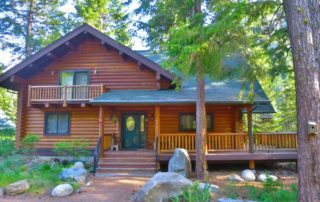 Since 2012, guest groups from throughout the Northwest have enjoyed and continue to enjoy this facility for their retreats and events, focused on hospitality and building Christian community for each guest. With the launch of the Center for Faith, Calling and Community, the next chapter of Ingalls Creek ministry invites participants at various stages of life’s journey to come together for events tailored uniquely for them. Whether you’re a parent or a student, a teacher or a new college grad, a scientist, civic leader, poet or musician, a mentor or a searcher, you are invited to experience God’s love, gain renewed faith and be sent with joyful purpose into the various places where God calls you – to be a blessing to the world all around. The Center for Faith, Calling and Community offers numerous events each year. Each event presents the opportunity for participants to see the streams of their lives coming together —connecting their faith and calling/work in the community context of daily life. Especially for those facing points of transition, Ingalls Creek provides a beautiful place and a unique community to come along side people as they reflect, retool, wrestle and renew on their journey.